Lest you feel like this is just For Honor but with different graphics, publisher Devolver Digital suggests that it will feel more like an RPG in a related press release. There will be PvE as well as PvP modes, and you'll be able to build up a team of fighters as you explore various dungeons scattered across the Adal Empire. 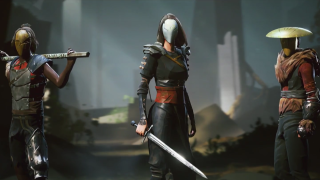 There's also mention of equippable gear and customizable attacks, so it sounds like there will be more to Absolver than meets the eye in this initial reveal. Devolver has promised more information at E3 2016, which - as a friendly reminder - is just two and a half weeks away.